Click here for the 2018 Site Build It! Scam Update. Did you type "site build it" into Google's search box, and the term "site build it! scam" appeared on top of the list in Google's suggestion box? Don't miss SiteSell.com's offical reply to the "Site Build It! scam" Googlebomb. This is must-read info about the misleading attacks by *fraudulent* competitors. Had you done the same search prior to March 2009, Google would have suggested terms like "site build it login," "site build it review" or "site build it action guide." Why is the phrase "site build it! scam" featured so prominently now? The most logical assumption might be that Site Build It! (or SBI!) indeed is a scam. As the old saying goes "Where there's smoke, there must be fire." While that may be true, sometimes the "smoke" is produced by an arsonist, not by a natural fire. In SBI! 's case, the arsonist is a group of "make money online" marketers (MMOers). The term MMOers refers to Internet marketers, mostly bloggers, who teach others how to make money online. Nothing is wrong with that, as long as the methods they teach are honest and aimed at long term success rather than fooling the search engines to make a quick buck. After all, making money online is likely the main reason why you're researching Ken Evoy's Site Build It!... to find out if SBI! is a good way to make money online... or a scam. We won't be naming the MMOers involved in this attack as they've had enough false exposure. You'll know them when you see them. How? Because their reviews lack substance. Instead of specific, in-depth knowledge of the product, they present an emotional, extremely one-sided view. If SBI! is really that bad, how can we provide such unmatched proof of success? If SBI! really is outdated, overpriced and a scam, why are there so many happy customers at the SiteSell Facebook page? There's one more term we need to look at before we jump into the facts, as this is the actual (search) engine that the MMOers used to attack SBI! and SiteSell, the company behind it. It's called Google Bombing. Google Bombing (or Link Bombing) refers to getting enough links to a site using a particular anchor text so that the page will rank highly with that anchor text as the search term. The most famous Google Bomb was where "miserable failure" would return the official white house biography of George W. Bush as the highest ranking. Events started on March 18th, 2009, with a "Site Build It! Scam Review" by one of the MMOers. 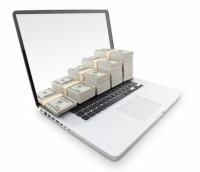 Their business is to provide "Make Money Online" information in return for advertising and affiliate revenue. In fact, they promote products that, together, cost many times more than Site Build It!. However, in this particular review, the MMOer protests vigorously and repeatedly that $299 for SBI! is "overpricing" and that "all you need" is cheap hosting, a domain name, and free tools. This is not true, of course. If it was, there would be no need to promote other products. We'll dissect, point by point, the false claims this person makes in her Site Build It! review. For now, suffice it to say that the review would have never made it onto the first page of search results at Google... without the help of two prominent members in the MMO "inner circle." Within a few days after the initial review, a flood of new Site Build It! reviews started to appear in Google's search results. All of them were negative, and all of them concentrated on the fact that SBI! was too expensive. Interestingly enough, most of the authors are promoting "how to make money online" affiliate products. What was the reason for this sudden interest in writing a review about SBI!? Some major media coverage about the product? A surge in new affiliates joining the program? No. It was an orchestrated manipulation of Google, initiated by two influential gurus in the make money online world. They called upon their followers to execute an elaborate interlinking network of false reviews to fool Google into ranking the initial review, and their own reviews, highly. They encouraged their supporters to lie, and even threatened them to exclude them from their "I'm In" circle if they questioned the reasoning behind this attack. 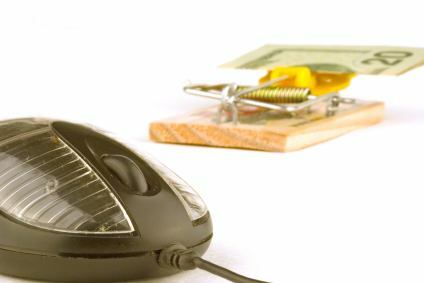 Participants, scrambled to secure keywords to join in the link bombing, and even chose misspelled, fringe concepts like "Site Sell Scam" or "Site Sell Review". The two instigators published clear instructions along with which keywords to use when linking to each other. This is of course in violation of Google's guidelines, so they removed those instructions later, not knowing that we had archived them in the meantime. The MMOers wanted to manipulate Google into flooding its search results page with negative reviews for such terms as "Sitebuildit reviews", "Sitesell Scam" and even "Scam Build It." Why do that? Because people who are seriously interested in purchasing Site Build It! (or any product) often seek reviews of it first. Using Google in this way sets a dangerous precedent because this is a reproducible protocol for attacking a company and their products. The good news is that eventually the two ringleaders and their whole strategy got "slapped" by Google for their misdeeds (although not for their SBI review manipulations). Their blogs have disappeared for search terms like "site build it review" or "site build it! scam". Their followers lost years of work. Some of them had up to 800 domains. 800 micro-sites with no original content, used to create fake link networks to push up their "money pages" in Google's search results. The bad news is that the initial Site Build It! scam review is still in a top position, and so is the term "site build it! scam" in Google's suggestion box. Now, let's take a closer look at the various pieces of the "Site Build It! scam" attack. Alternatively, if you are short on time, head over to the summary of events at Site Build It! Scam: SiteSell's Official Reply. How one misleading Site Build It! review started an orchestrated SBI! attack. So many negative Site Build It! reviews prove that SBI! is a scam... or do they? Take a look behind the scenes to find out. The SBI! scam attack is a concerning example of how to use Google Bombing to damage a company's reputation and hurt their product sales. How Google not working the way we think impacts us all. The Googlebomb is a search engine vulnerability used for destructive purposes. It needs to be stopped. The Googlebomb - Algo needs to be fixed right now.